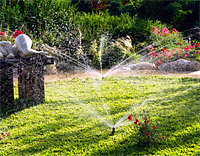 An automated irrigation system is an integral part of any beautiful lawn. We are Rainbird preferred contractors, and with our knowledge and expertise, we will ensure that your lawn is watered with both the correct amount of water, and with the frequency that your plants and grass needs to keep your lawn and plants looking green and full all summer long. We know how important it is to keep your garden well nourished, especially with the humid subtropical climate that is common in Georgia. By having the right type of irrigation and sprinklers in your property, you can provide enough water for your plants with less effort and minimal supervision. Drip System - Flower and vegetable gardens would definitely benefit from this type of system. Several pipes are installed overhead with holes where water would drip out at a steady rate. This is a cost-effective system because it conserves water. Mobile System - This consists of sprinklers and garden hoses which need to be moved or reconstructed regularly, making it an ideal system for wide lawns. Overhead System - This is ideal for landscapes and gardens because it consists of pipes which are installed overhead to make sure that the overall look and design of a landscape is undisturbed. A timer is usually added to this type. Underground system - This is the most popular type of irrigation and sprinklers system. Pipes are installed underground and sprinklers pop up from the ground to start watering the lawn at a preset schedule. 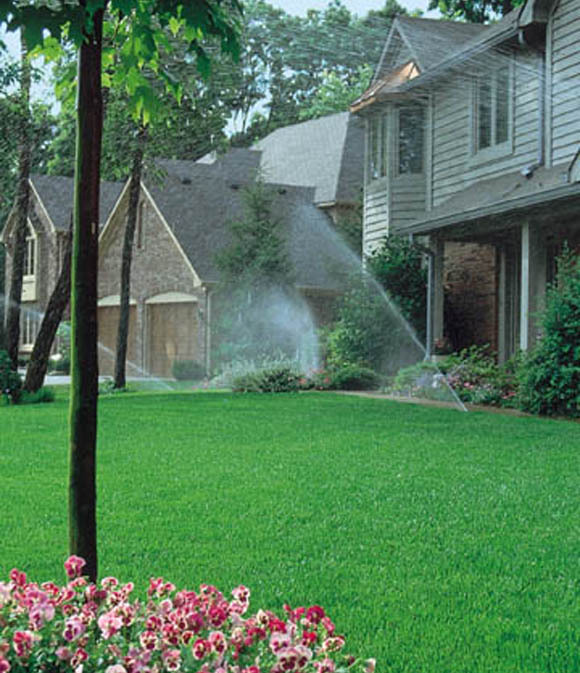 We are very fortunate to be the preferred contractors for Rainbird Sprinkler Systems in the state of Georgia. Rainbird’s state-of-the art products are very innovative and make use of only the best materials with the most efficient systems, minus the high cost. Their commitment to the intelligent use of water makes them the most preferred company when it comes to irrigation and sprinklers. We are the right company to provide and install irrigation systems into your landscape for the simple reason that our installers are certified and experienced. Our team will ensure that systems are installed correctly for them to work efficiently for a long period of time. Our partnership with Rainbird makes our work superior because of the quality products and dedicated service that we provide. If you want cost-effective, environment-friendly, and long-lasting irrigation and sprinklers, just pick up your phone and give us a call.